I am not contagious is an endearing look into the life of a young woman and her interminable struggle with illness. 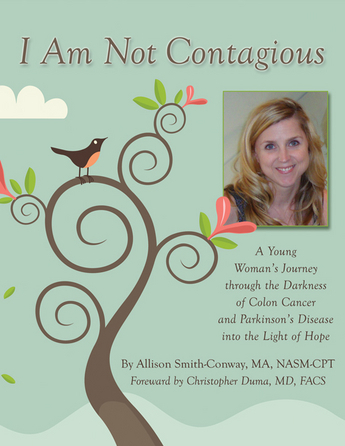 After being diagnosed with an auto-immune disease at age 13 and then colon cancer at age 24, Allison Smith-Conway attempts to find normalcy in a chaotic world. At age 32, when she feels that she has conquered and defeated her pain, she is diagnosed with Parkinson’s disease. Written with a humorous undertone, Allison captures her encounters with love, disease and trying to find meaning in her life.